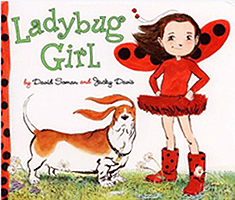 With her parents too busy and her brother refusing to play with her because of her small size, Lulu transforms herself into the powerful and adventurous Ladybug Girl--setting off on her own to take part in a full day of amazing feats that are sure to impress people twice her size. Hardcover Picture Book. Ages 5 - 6. 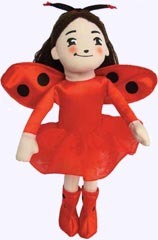 Cute little Ladybug Girl is 6" tall, and is just right for little hands. A backpack pull and a loveable pocket buddy. She is adorable clipped to the top of a gift package, and she makes a great party favor! She is 6" tall.